Upcoming Events: Vendor Socials, Business-Building Workshops, DIYs, and even a Couples Social! We have tons of fun events on the calendar! There’s something for everyone – and we can’t wait! February has brought crazy weather with storms on the west coast and a 60 degree day followed a snowstorm on the east coast! As the month winds down, we’re looking forward to seeing what early Spring has in store – and to seeing everyone at our upcoming events! – and there are more to come! Our calendar is PACKED with events on the east and west coasts! 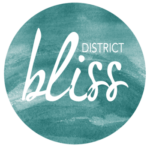 We have monthly DIYs // Workshops, a few Vendor Socials, and even a Couples Social! We still have some slots open for Participating Vendors if you’re interested in working with us! We love to highlight new, rad businesses, so be sure to let us know! THE ULTIMATE VISION BOARD EVENT!